Changing the world...one degree at a time. The McNair Scholars Program is a federal TRIO program funded across the United States and Puerto Rico by the U.S. Department of Education. It is designed to prepare undergraduate students for doctoral studies through involvement in research and other scholarly activities. 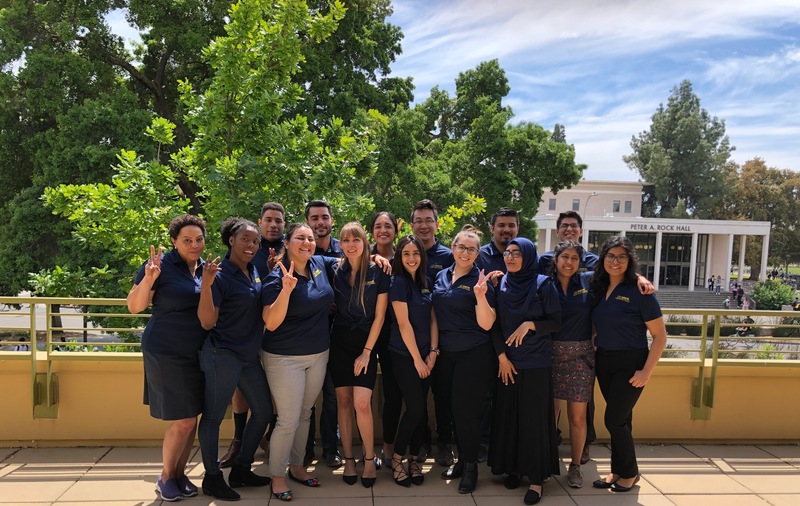 McNair participants are either first-generation college students with financial need or members of a group that is traditionally underrepresented in graduate education and have demonstrated strong academic potential. The goal of the McNair Scholars Program is to increase graduate degree awards for students from underrepresented segments of society. The McNair Scholars Program is research-focused and therefore not intended for students who wish to pursue professional degrees like medicine, law, or business management. It's time to share your McNair Scholars Story with the world! We will be launching a Faces of McNair Campaign to collect stories from our UC Davis McNair Alumni and share them , in an effort to bring awareness to the effectiveness of the McNair program. Below is a short survey to help us capture your important story. Your survey responses will be shared on our UC Davis McNair website along with our social media pages. Please complete the Alumni survey and feel free to email us a picture to include with your news. We look forward to hearing from you! The McNair Scholars program is named in honor of Ronald Erwin McNair, an American physicist and NASA astronaut. Our scholars represent some of the best and brightest students UC Davis has to offer. Explore our eligibility criteria, application requirements and deadlines.